Flyer (Front/back), Guest DJ Darren Price (Underworld tour DJ). 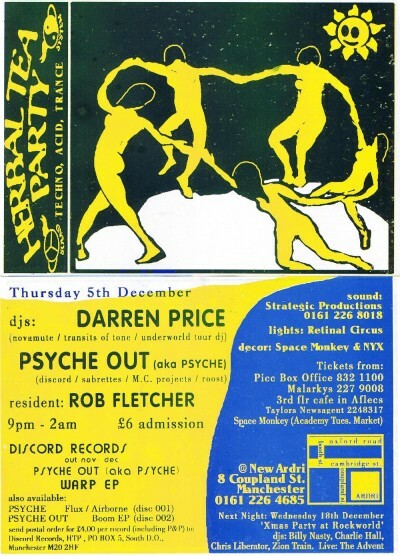 Live from Manchester Psyche Out (Sabrettes / Midi Circus / Discord) and resident DJ Rob Fletcher. Techno, Tech-house, Acid, Trance, Progressive House, Minimal, Electro. Thanks for the uploads, Rob!